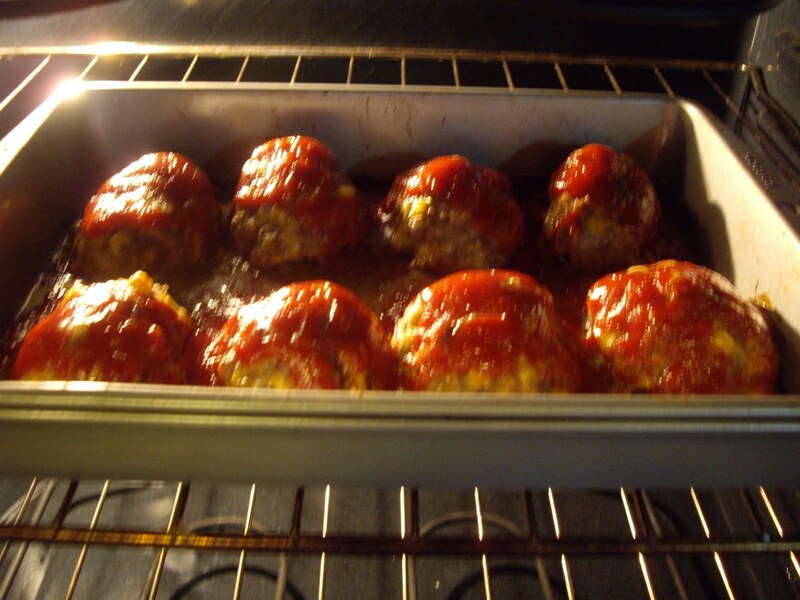 Mini meatloaves are one of my favorite meat foods. There isn’t much to making them. You can mix them up and bake them all in an hour. Lightly grease a 9″ x 13″ baking pan. In a bowl mix the egg, milk, cheese, oatmeal, salt, and ground beef. Form into 8 loaves and put into baking pan. In another bowl combine the ketchup, mustard, and brown sugar. Spoon that over the mini meatloaves.